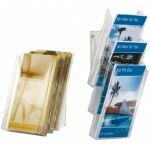 High quality leaflet dispenser for displaying DL and A6 sized information. 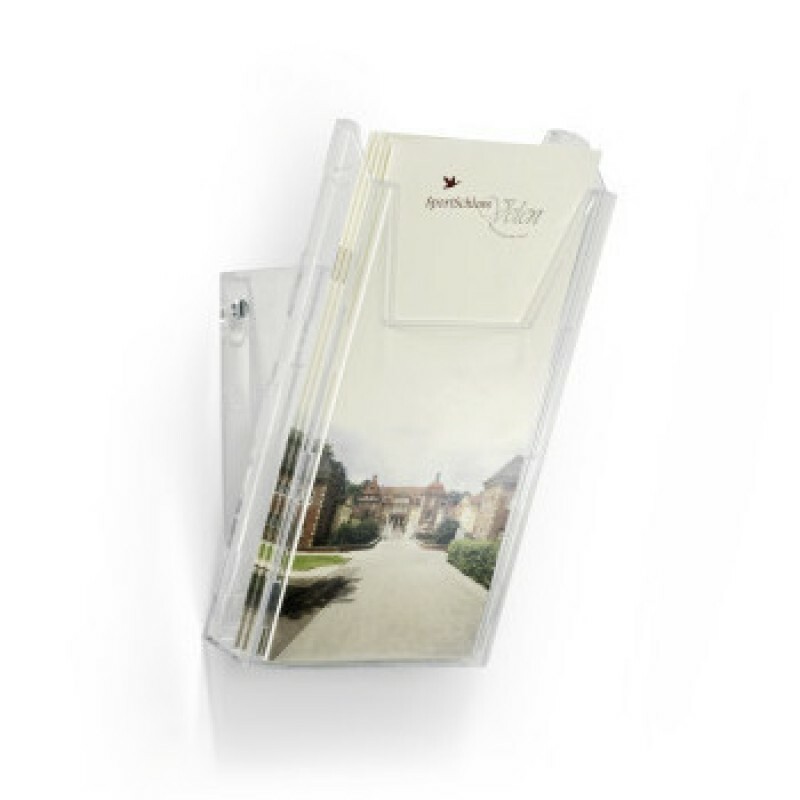 The tray can be filled up to a height of 24 mm. Can be used as a space-saving table stand or as a wall-mounted leaflet holder - no additional feet or adapters are needed. 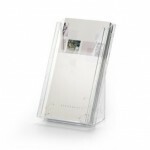 The table stand is quickly converted into a wall module by simply turning the supplied feet 180 degrees. 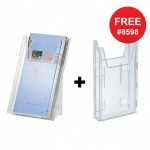 The unit can be extended by adding the Extension Module DL (Product code: 8598) or the A4 3-Piece Set (Product Code: 8580). 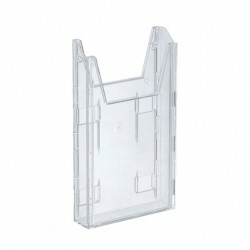 The individual trays are simple to join together and snap securely into each other. The high quality modules are scratch and crack resistant. 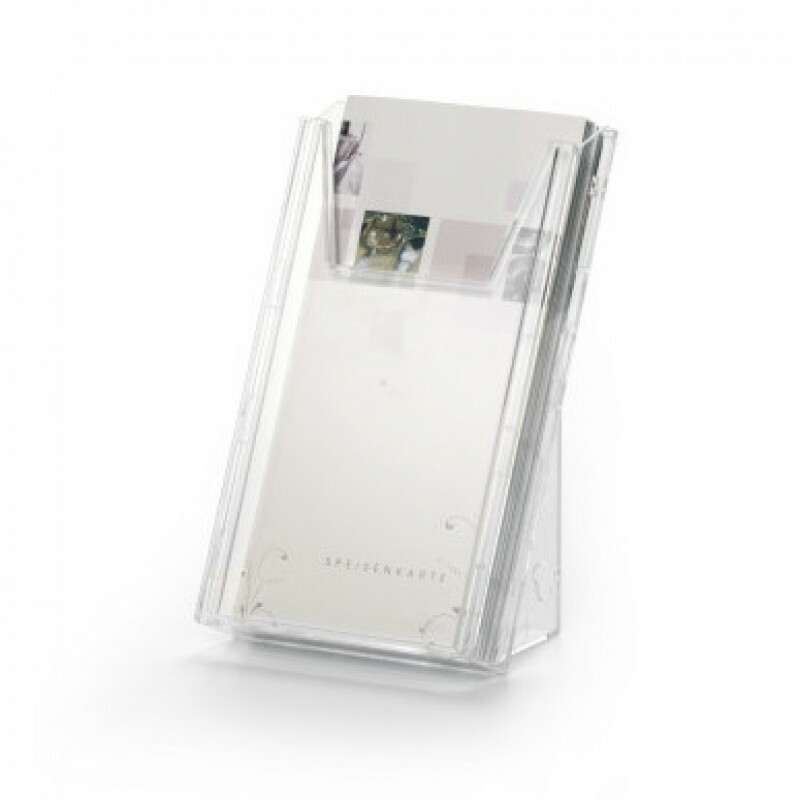 COMBIBOXX is supplied with screws, simple assembly instructions and an overview of the various combination options.